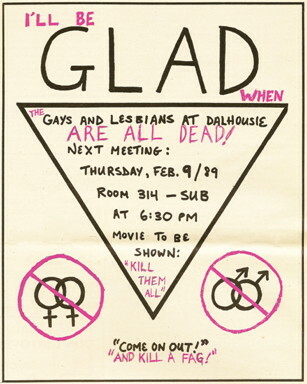 In 1989, GLAD posters put up around the Dal campus were taken down, had homophobic text added and were put back up. In the illustration here, the modified parts of the poster are coloured red; the original modifications are photocopied black and white. who started it? Who ran it during its life?